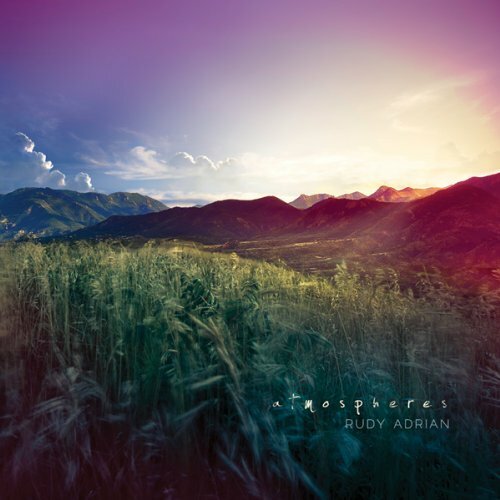 Perfect title if there ever was one, and atmospheres are something synthesist Rudy Adrian is a master of, on this title and so many that have come before it. This is in fact his first release since Distant Stars around four years ago, and concentrates more in floating realms that some of his earlier sequenced works. Each of the nine tracks here are fueled by the inspiration of the beauty and terrain of his native New Zealand, slowly evolving sonic landscapes rich in textures and coloration, like thoughts, dreams and memories unfolding all at once. This is eyes-closed and headphones-on music that sparks the imagination from every direction, full of power, bright colors of chromatic purity interleaving with subtle shimmering layered pastel shades, occasionally pulling in some found sounds and voices providing added imagery. The descriptive titles offer a clue to Adrian’s inspiration for each piece: “Through a Cave into Another World,” “Amber Skies,” “The Temple on an Island,” “Willow Bank.” The liners mention his experiences as a boy, hiking and kayaking with his father in these places in the south of New Zealand. Two of the pieces, “Dreams of SUBAntarctica” and “Beyond the Silver River” were taken from previous projects, the latter never released, but they fit in perfectly with the other seven titles presented here. All taken, Atmospheres is another well conceptualized ambient masterpiece that provides a rich sonic backdrop for a private world of mental imagery and spiritual release.